It is time for another LitFuse Blog Tour. 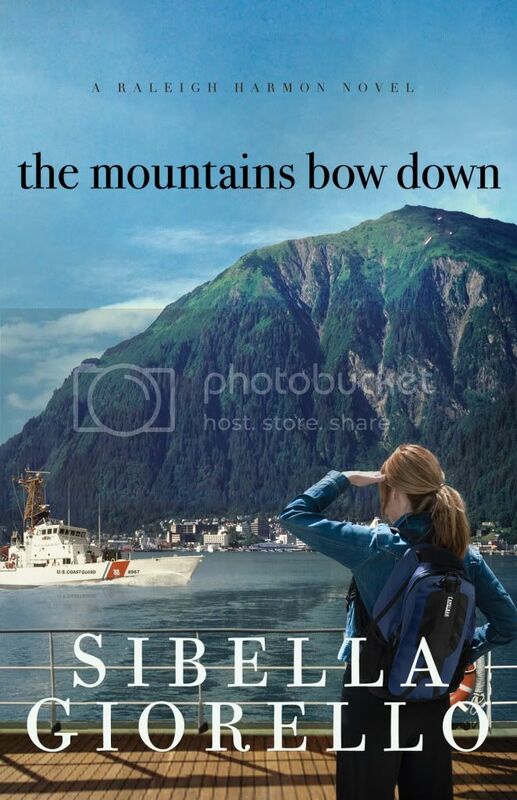 This time, the book is The Mountains Bow Down by Sibella Giorello. This is the fourth book in the Raleigh Harmon series, and it is the best one yet. I also participated in the Tour for the third book (The Clouds Roll Away) and I did read the first book on my own. While the books certainly can stand alone, I think that this book was far more enjoyable because I already knew the back story. And Oh, My! Isn't the photo here just beyond beautiful? I stared at that for the longest time and dreamed of an Alaskan cruise. <sigh> Though I want one with far less drama than the one Raleigh embarks upon. From the Publisher: Everything's going to work out. Time away always makes things better . . ..
My thoughts: I already stated that I think this is Sibella's best book yet. She has a knack for making the characters feel real. Pretty unbelievable things happen, but the wonderfully flawed people in this story are fantastic. I love characters who don't always do the 'right' thing, and I love them dealing with consequences for doing something they knew they shouldn't be doing. I have the chance to ask myself a "what would I do?" question or two. I love a crime story that involves science. And Sibella certainly knows her geology. Being from Alaska, I'm assuming the geography was accurate too, at least is sounded that way to me. Alaskan Cruise? Forensic Geologist? Oh my.. I think Emily and I are going to have to read this book! Thanks for the review!